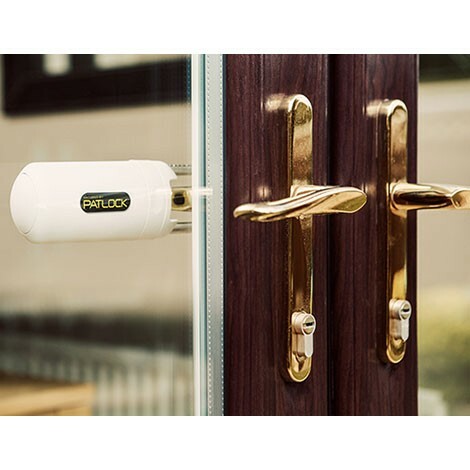 Each Patlock comes with a pair of Tamper resist spindles which once fitted cannot be removed from the exterior, enhancing the security that Patlock provides. We recommend that you use the services of a locksmith for the initial fit of the Patlock spindles, unless you are confident that the instructions provided can be followed successfully. The Patlock itself can be fitted by anyone within a few seconds as the video below demonstrates. 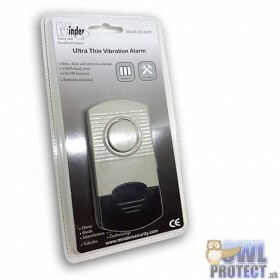 Fitting of the spindles isn't required to use Patlock but it would enhance your security if they were fitted. Both Patlock and the tamper resist spindles are patent registered products. Patlock is accredited as a Secured by Design product and approved by the police. Patlock will not work if you only have 1 door handle. Please check before ordering that you have 2 handles as shown in the photos and video. Watch the video below to see how easy Patlock is to use. The legendary Frank Bruno stars in the Patlock TV advert. Take a look below..
Patlock was featured on Dragon's Den on BBC2 on 5th February. Delivery details: Postage and packing is included at no extra cost with all Patlock sales. Be sure to select zero-cost delivery option at the checkout if you're not ordering any other products. Your Patlock will be dispatched directly from the manufacturer. Any other items you order will incur our usual delivery costs and will arrive as a separate delivery. 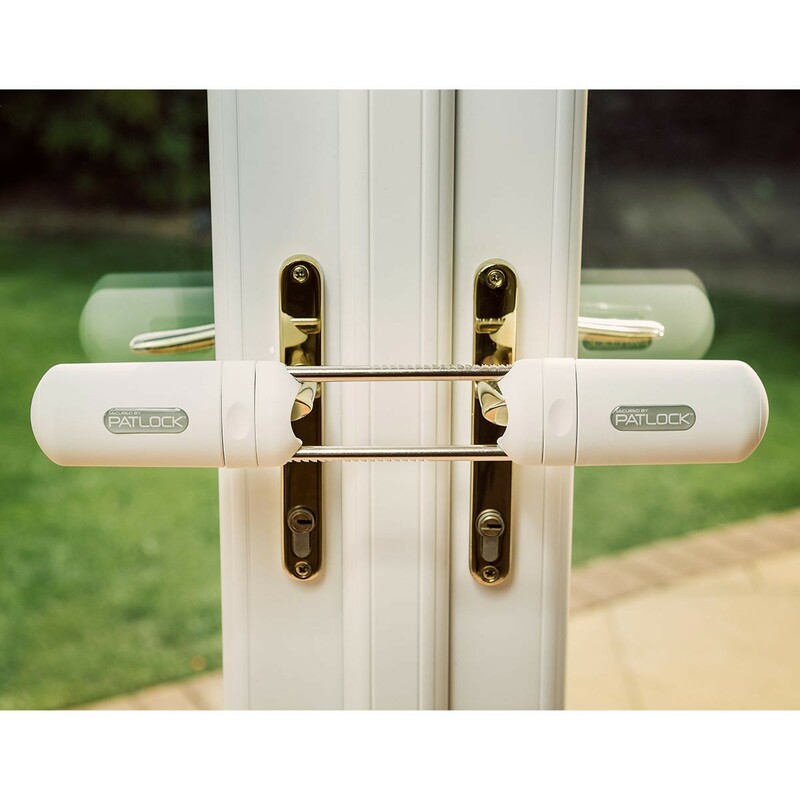 Patlock is designed to fit most standard French door handles, however if you find Patlock unsuitable in any way a full refund will be given. 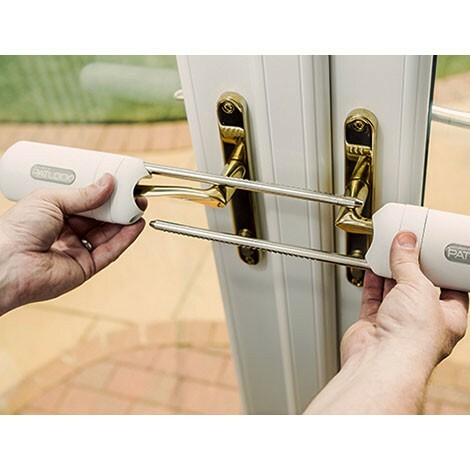 Support: Patlock comes with installation instructions, but if you require require additional support you can contact the manufacturers directly by email sales@patlock.co.uk or telephone: 01274 590022. Further information is available on the Patlock website. For a video on how the spindles are fitted please see this video on YouTube.